If you are looking for a way to earn some extra money online in Nigeria, then online surveys and other small online tasks can be a good option. There are many sites that offer this, BUT most of them are a waste of time. To get anything out of it, you need to make sure you join the sites that are actually worth it. 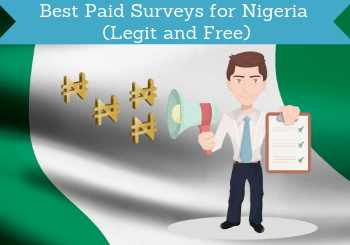 In this article, I will, therefore, show you 8 awesome paid surveys in Nigeria. All of these sites are legit and pay you without problems, and they are, of course, free to join. If you do not live in Nigeria and have ended up on this page, you can instead check out the lists of best sites in other countries. How are the opportunities for taking online surveys in Nigeria? There are hundreds of online survey sites, but the amount of opportunities depends a lot on the country you live in. So how are the opportunities then in Nigeria? Let me be honest with you and say that it is not the country with the most opportunities compared to some of the big English-speaking countries. In fact, it can be challenging finding good survey sites in Nigeria – this does, however, not mean that there are no good options. There are many sites you can join but that just does not give you many surveys (if any). But there are also some great survey sites with decent opportunities if you live in NG. Below I have put together a list of the best of these sites so you do not have to waste your time testing hundreds of sites. But before getting to the list, let’s first go over how you can use survey sites to earn the most. There are a few things you need to know to get the most out of paid surveys in Nigeria. One of the things is that you will not qualify for every survey that is available. That is just how survey sites work. So when you join the sites below and might disqualify for some surveys, do not give up right away. This will happen and on some of the sites, it sometimes takes a bit of patience finding the ones you qualify for. But after a while, you will be able to figure out what types of surveys you have the best chance qualifying for and then you can just focus on these. A very important tip to earn the most is to be aware that some of the sites offer other earning methods than only paid surveys. It can, for example, be to watch videos, take micro-tasks, take offers, play games, and more. The sites that have these other options as well are called GPT sites (get-paid-to). By using some of these other earning methods, you can really boost your earnings. Finally, all the sites have different opportunities and offers. Therefore, to get the most chances of earning, you should join several sites. I recommend joining 4-6 sites at first to get a good amount of options but still have the time to get to know each site. Then you have good chances of making some extra cash on the side. Just be aware that taking paid surveys is NOT a way to become rich in Nigeria or something you can do as a full-time job. It can make you some extra cash on the side, but if you expect to become rich or find a full-time survey job, you will be disappointed. Below you can see a list of the best online survey options in Nigeria. It is, as mentioned, not a complete list of all sites available here, but instead a quality list with the best sites that are actually worth it. The list is regularly updated as I test new sites, so make sure to bookmark this page and come back and check it once in a while. Surveytime is available worldwide and it seems to be one of the sites with the most available surveys in Nigeria. It is extremely easy to use. You just have to fill out a survey during the sign-up process, and then you will get access to a list of available surveys that is regularly updated. All surveys pay you $1 – even the very short surveys. And a great thing about Surveytime is that it pays immediately. That means that once you have completed a survey you will get your money paid out right away. Mobrog has its own survey panel just for Nigeria and that makes it easy to use and means it has a decent amount of relevant online surveys. Once you join, you will start receiving email invitations for surveys. Just be aware that you will not qualify for all the surveys, but it will also have many you will qualify for. You can get your money out through PayPal or Skrill once you have earned only $6.25. ClixSense is a worldwide GPT site as it has several ways you can earn. It is also available to join and gives decent opportunities in Nigeria. You can earn by taking surveys, doing micro-tasks, take paid offers, and it has a daily activity bonus. Sometimes it can take patience finding the surveys you qualify for so you should also make sure to check out some of the other earning methods. You can get your money out through Payoneer, Skrill, or Tango Card depending on your preferences. WowApp is an interesting option as it has many ways to earn and offers some ways no other sites on the list have. You can get paid to take surveys, read the news, call and chat, get cashback when shopping online, take paid offers, and more. In Nigeria, it can take a bit of patience finding the best ways to earn on WowApp and get to know how to use it – but it can be worth the patience with its many options. Hiving Surveys is a survey panel with its own site for Nigeria. It is very simple to use as you will just start receiving survey invitations via email after you sign up. It does not give a huge amount of paid surveys, but because it is so easy to use, it can still be a great site to join to get some extra cash. The payout threshold is very low as you can get your money out already when you have earned $4. Cointiply is only relevant if you are interested in earning Bitcoin or other cryptocurrencies. If you are, then this site can be a great way to earn this in Nigeria. It has many methods to earn. Some of them take a bit of patience, but you can always find ways to earn there. You can take surveys, use a Bitcoin faucet, there is a miner, a multiplier game, you can click ads, and more. Once you have earned $3.50 you can get a payout. But if you keep your earnings in your account longer, you will earn interests. FeaturePoints will not have a huge amount of paid survey opportunities in Nigeria but because it is so user-friendly, it is still on this list. In addition to taking paid surveys, you can earn by watching videos, participating in free contests, and downloading apps. You should definitely make sure to use some of these different methods to get enough earning options. You can get paid very quickly, as you only need to earn $3 to get a payout. If you join through the link below, you will use an invitation link which will give you 50 free points right away. Triaba is a simple survey site with few available surveys. But it has its own survey site for Nigeria, so as an extra site, it can definitely be worth joining. Once you are a member, you do not really have to log in to the site very often. Only when you want a payout. The surveys will come to you via email invitations. You can get your earnings out through PayPal or gift cards when you have earned around $7. Because of the limited options on Triaba this can, however, take a little time. That was a list of the best paid online survey sites for Nigeria. You will see many sites with longer lists but often they have just listed all the sites you can join but not the ones that actually give opportunities in Nigeria. This list instead is a bit shorter but I have put a lot of effort into trying to create a list that can help you find real options. 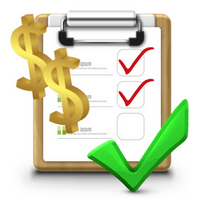 So I hope this list helps you find some good survey and GPT sites to earn some extra cash. If you have any comments, questions, or know of any great paid surveys in Nigeria that are not on the list, then I would love to hear from you in a comment below.